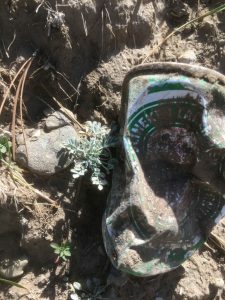 Litter is one of those topics that everyone can agree is a bad thing yet continues to be an issue on public lands. 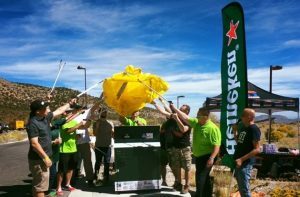 In late 2017, Southern Nevada Conservancy (SNC) partnered with Heineken USA to curb the major litter issue in the Spring Mountains National Recreation Area (SMNRA). 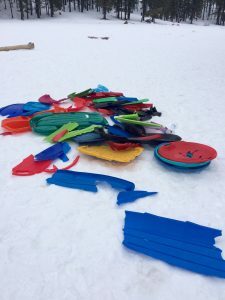 The area is part of the Humboldt-Toiyabe National Forest adjacent to the Las Vegas Metropolitan Area, which houses over two million residents, and is the only snow play location within a 2 hour drive. Heineken leveraged their “brewing a better world” philosophy to help organize and implement a sustainable solution for SNC and the SMNRA. 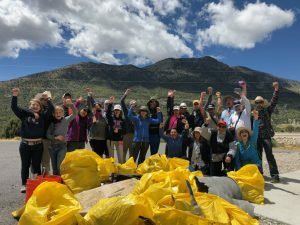 During the past 10 years, over 50 tons of litter in the Spring Mountains National Recreation Area have been collected through weekly pickups and semi-annual large-scale cleanups. 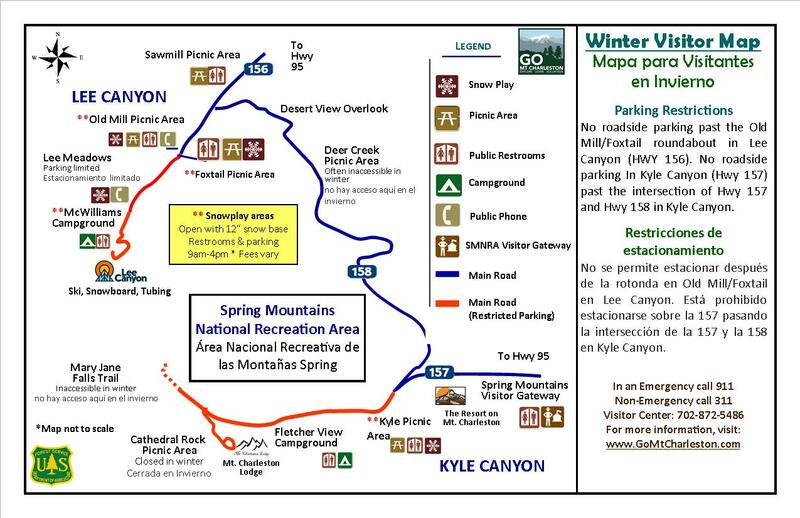 SNC’s Go Mt Charleston team wanted to find a better way to help visitors dispose of their trash properly. In fall of 2017, Heineken’s Nevada Distributor Sales Manager, Antonio Trillo, reached out to ask SNC how Heineken could help keep the forest in the SMNRA healthy. When presented with the idea that trash cans were needed but the cost of both cans and collection were the primary hurdle, Trillo was enthusiastic that this was the right problem for Heineken to help solve though the company’s “Brew Gooders” program. Heineken’s representatives were shocked to learn that there were no trash cans at trail heads and popular recreation sites. They spread the word and gathered support from community businesses including Breakthru Beverage, Smith’s Food and Drug, PT’s Entertainment Group, Green Valley Grocery, Lee Canyon, iHeart Radio, and Republic Services to raise over $30,000 in cash and in-kind donations from May 2018 through September 2018. These funds allowed for 13 trash and recycling receptacles to be purchased and installed at popular trailheads and recreation areas, food and drinks for a kickoff cleanup and celebration, trash collection supplies, and a year of dumpster service. 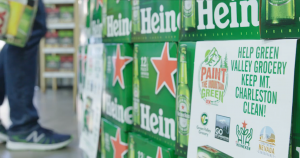 Heineken has pledged yearly efforts to sustain the trash collection and volunteer cleanups through at least 2021, including maintaining local business relationships to continue and increase year-over-year donations. 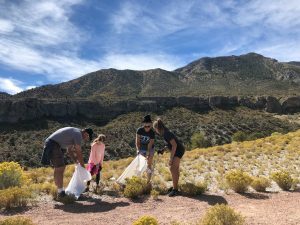 Most visitors to the Spring Mountains want to do the right thing and make sure their trash is disposed of properly. However, without trash cans in the SMNRA’s most-used areas, the SNC-led volunteer crews were picking up an average of 5 tons of litter per year. Finally being able to provide trash and recycling receptacles, and regular service, is a huge step for helping to curb the litter issue. Only 2 months after can installation, all sites are showing less than half the normal litter amounts during semi-weekly pickups. Additionally, clear pictorial signage on the installed cans have resulted in minimal trash in the recycling receptacles. Heineken's enthusiasm for helping us address the problem while bringing more community partners to the table is a game changer. As the Las Vegas community grows, it is exciting to see so many local businesses step up to help, and it was Heineken's reputation that helped them feel that this was a valuable program to become part of. 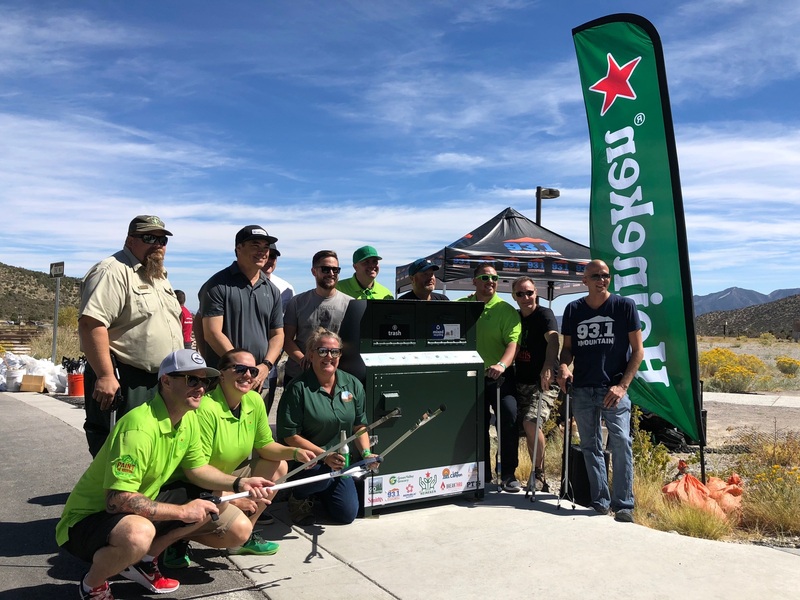 Heineken’s representatives have served as role models in their service to the Spring Mountains, not just as invaluable liaisons to the local business community, but by creating a replicable model for other distribution regions to pursue with their local public lands. The idea that a global brand sees the value in helping public lands of all sizes is unique. Small sites are often overlooked when it comes to leveraging effort and funds against what sort of branding and visibility the company will receive in return. Bigger, more well-known public lands sites do offer more bang for the buck. However, Heineken USA encourages their staff at all levels to look for opportunities for “brewing a better world”. 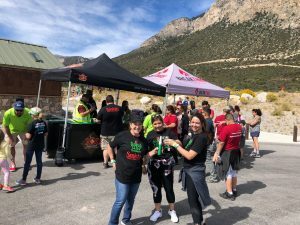 Trillo saw that the Spring Mountains are where Las Vegans head to escape the desert and knew that Heineken and the local distributor could easily help solve a longstanding problem simply by raising awareness among local businesses. Plans are currently in the works to share the “Green the Mountain” work plan with various public lands in Nevada and across the country. At Heineken USA’s annual distributors’ meeting in October 2018, Heineken USA employees and hundreds of distributor companies were presented with a brief video showing how Trillo led the Heineken effort in the SMNRA. Trillo was then presented the 2018 “Brew Good” award, and he spoke to the crowd about how much good they can bring to public lands beyond providing a cold beverage for a picnic. Heineken USA is setting a great example not only in their own company, but for all companies who would like to support public lands. This recording of iHeart Radio's Community Spotlight is an engaging 20 minute chat with David Black of 93.1 The Mountain, ranging from why "pack in, pack out" doesn't always work to how invasive species can take hold when hiking with dogs. This is the video Heineken USA is sharing with their regional managers throughout the United States in order to encourage them to seek out local public land nonprofits to learn how they can support litter programs and other "dirty" but necessary projects.